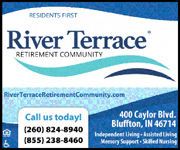 Dean B. Garrett Sr., 76, of Huntington, IN, died Thursday, Jan. 17, 2019, at 11:22 p.m. at his residence. Mr. Garrett was a 1961 graduate of Huntington High School. He worked at International Harvester for several years, Huntington Lab and later at Kautex in Avilla. 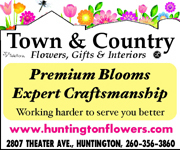 He was then co-owner of the Boondocks for many years in Huntington. He served in the United States Navy from 1962 to 1965. He was a member of American Legion Post 85, VFW Post 2689 and Moose Lodge 837. He was born Sept. 30, 1942, in Monroe, MI, to Carl and Irene Emley Garrett. He was married to Judith A. Rice on Oct. 27, 1966, in Swansea, MA, and she preceded him in death on Nov. 16, 2003. He later married Lulabelle Adair on June 23, 2007, in Columbia City, and she survives. 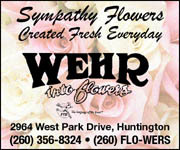 Additional survivors include two sons, Bradley Rupright, of Columbia City and Dean Garrett Jr., of Larwill; two daughters, Annette Madden, of Cromwell, and Angie (Leroy) Fouts, of Milford; a stepdaughter, Anita (John) Snyder, of Fort Wayne; a brother, Dennis (Joyce) Garrett, of Huntington; a sister, Cristine Shockley, of Tennessee; 19 grandchildren Brooke Madden, Kayla Walters, Kent Walters, Kevin Walters, Randi Rupright, Stevie Rupright, Matt Rupright, Jake Rupright, Zach Rupright, Sam Rupright, Racheal Benner, Megan Fouts, Crystal Shipley, Ashley Smith, Brandi Goetz, Jennifer Cook, Melissa Snyder, Josh Kumfer and Mike Snyder; 23 great grandchildren; and three great-great-grandchildren. He was preceded in death by a son, Brian Rupright. Calling is Monday, Jan. 21, 2019, from 2 p.m. to 7 p.m. at the Myers Funeral Home Huntington Chapel, 2901 Guilford St., Huntington. A funeral service will be held Tuesday, Janu. 22, 2019m at 11 a.m., with one hour of visitation prior to the service, at the funeral home. Interment will be at the Pilgrims Rest Cemetery. 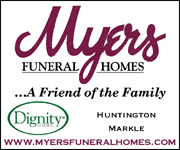 Memorials are to Myers Funeral Home, 2901 Guilford St., Huntington, IN 46750, to help defray the family’s funeral cost.